It is widely recognized that peer interaction is valuable for improving learning and achievement. This article proposes a three-dimensional context-awareness (CA) model to help learners in distributed e-learning settings to find suitable peers for potential collaboration. Based on the recognition of the e-learning context that involves the Knowledge Context, Social Context and Technical Context, this article proposes a three-dimensional CA model for peer recommendation, including CA to Knowledge Relevance, CA to Social Proximity, and CA to Technical Access. A case study is designed to examine learners' perceptions toward the CA model, demonstrating that the CA model can be acknowledged by the learners. Finally, this article discusses the general value (more than only being applied in peer recommendation) of the CA model. Zheng, Y. & Li, L. (2008). A Three-Dimensional Context-Awareness Model for Peer Recommendation in the E-Learning Context. International Journal on E-Learning, 7 (1), 153-168. Waynesville, NC USA: Association for the Advancement of Computing in Education (AACE). Retrieved April 21, 2019 from https://www.learntechlib.org/primary/p/22977/. Benford, S., & Fahlen, L. (1993, September). A spatial model of interaction in large virtual environments. Proceedings of the 3rd European Conference on Computer Supported Cooperative Work (pp. 109-124), Milan, Italy. Brusilovsky, P. (1986). Methods and techniques in adaptive hypermedia. User Modeling and User-Adapted Interaction, 6(2-3), 87-129. Dibben, M.R. (2000). Exploring interpersonal trust in the entrepreneurial venture. London: MacMillan. Gutwin, C., & Greenberg, S. (2002). A descriptive framework of workspace awareness for real-time groupware. Journal of Computer Supported Cooperative Work, 11(3), 411-446. Keller, J.M. King, A. (1990). Enhancing peer interaction and learning in the classroom through reciprocal questioning. American Educational Research Journal, 27(4), 664–687. Lazonder, A.W., Wilhelm, P., & Ootes, S.A. (2003). Using sentence openers to foster student interaction in computer-mediated learning environments. Computers & Education, 41(3), 291-308. Mcalister, S., Ravenscroft,A., & Scanlon, E. (2004). Combining interaction and context design to support collaborative argumentation using a tool for synchronous CMC. Journal of Computer Assisted Learning, 20(3), 194-204. Means, T., Jonassen, D., & Dwyer, F. (1997). Enhancing relevance: Embedded ARCS strategies vs. Purpose. Educational Technology, Research, and Development, 45(1), 5-17. Moore, M.G. (1992). Three types of interaction. The American Journal of Distance Education, 3(2), 1-6. Nonaka, I. & Konno, N. (1998). The Concept of “Ba”: Building a foundation for knowledge creation. California Management Review, 40(3), 40–54. Pickering, M.J., & King, L.J. (1992, October/November). 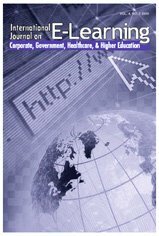 Hardwiring weak ties: Individual and institutional issues in computer mediated communication. Proceeding of CSCW’92 (pp. 356361), Toronto, ON, Canada. Polanyi, M. (1997). The tacit dimension. In L. Prusak (Ed. ), Knowledge in organizations. Woburn, MA: Butterworth -Heinemann. Rada, R.
Resnick, P., & Varian, H. (1997). Recommender systems (Special Issue). Communications of the ACM, 40(3), 56-58. Rintel, E. S., & Pittam, J. (1997). Strangers in a strange land: Interaction management on internet relay chat. Human Communication Research, 23(4), 507-534. Soller, A. (2004). Understanding knowledge-sharing breakdowns: A meeting of the quantitative and qualitative minds. Journal of Computer Assisted Learning, 20(3), 212-224. Terveen, L., & Hill, W. (2001). Beyond recommender system: Helping people help each other. In J. Carroll (Ed. ), HCI in the new millennium. Indianapolis, IN: Addison-Wesley. Webb, N. M., Nemer, K.M., & Zuniga, S. (2002). Short circuits or superconductors? Effects of group composition on high-achieving students' science assessment performance. American Educational Research Journal, 39(4), 943-989. Woolf, B. (1992). AI in education. In S. Shapiro (Ed. ), Encyclopedia of artificial intelligence (pp. 434-444). New York: John Wiley & Sons.